The Bridge Foundation ~ What is Psychodynamic Psychotherapy? 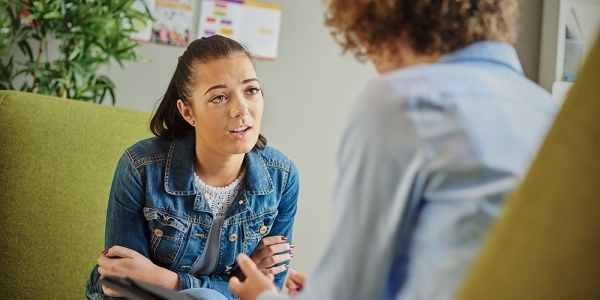 Psychodynamic psychotherapy aims to help people recognise patterns of behaviour and get to the underlying root of problems, in order to get more out of their life and relationships. In therapy, children and adult family members work to uncover the experiences and expectations that lie buried within, and interfere with, their day-to-day life. Therapists are trained to observe carefully, responding to what people might be communicating through behaviour, including play in the case of children, as well as listening closely to what they say. Through the relationship that forms in the work, people of all ages begin to uncover and express their most troubling thoughts and feelings. Confused, frightened, hurt, angry or painful feelings can gradually be put into words rather than actions. As a result, people become able to find new and healthier ways of managing their difficulties. Psychodynamic psychotherapists work with children, adolescents, parents and families, with a range of psychological difficulties and disorders. Each case is explored at the outset to decide the best treatment ‘fit’. Therapists may see parents/carers, couples, a child or young adult individually, together with siblings, or with parents or other family members. Sometimes the child is seen by one therapist while their parents/carers work with another; sometimes only the parents/carers will access the service.